Amman ( ; Arabic: عمّان‎‎ ʻammān [ʕamːaːn]) is the capital and most populous city of Jordan, and the country's economic, political and cultural centre. Situated in north-central Jordan, Amman is the administrative centre of the Amman Governorate. The city has a population of 4,007,526 and a land area of 1,680 square kilometres (648.7 square miles). Today, Amman is considered to be among the most liberal and westernized Arab cities. It is a major tourist destination in the region, particularly among Arab and European tourists. The earliest evidence of settlement in the area is a Neolithic site known as 'Ain Ghazal. 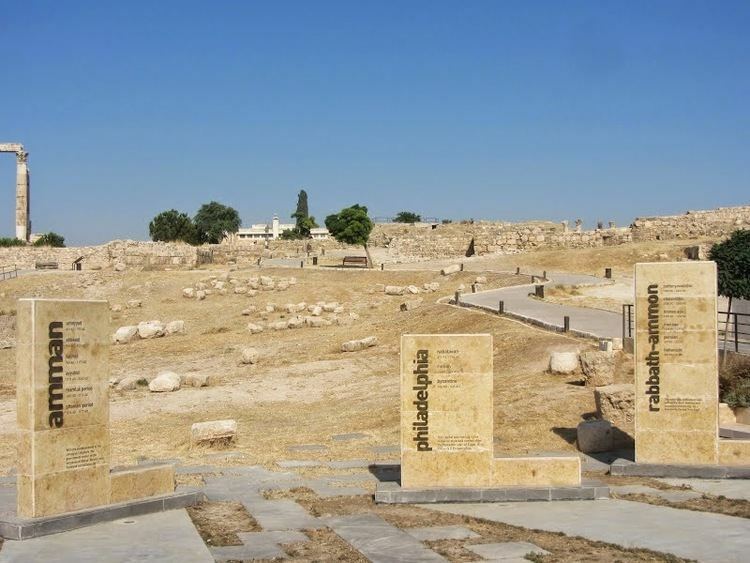 Its successor was known as "Rabbath Ammon", which was the capital of the Ammonites, then as "Philadelphia", and finally as Amman. It was initially built on seven hills but now spans over 19 hills combining 27 districts, which are administered by the Greater Amman Municipality headed by its mayor Aqel Biltaji. Areas of Amman have gained their names from either the hills (Jabal) or the valleys (Wadi) they occupy, such as Jabal Lweibdeh and Wadi Abdoun. East Amman is predominantly filled with historic sites that frequently host cultural activities, while West Amman is more modern and serves as the economic center of the city. Amman derives its name from the 13th century BC when the Ammonites named it "Rabbath Ammon", with the term Rabbath meaning the "Capital" or the "King's Quarters". Over time, the term "Rabbath" was no longer used and the city became known as "Ammon". The influence of new civilizations that conquered the city gradually changed its name to "Amman". In the Hebrew Bible, it is referred to as "Rabbat ʿAmmon" (Biblical Hebrew: רבת עמון‎, Tiberian Hebrew Rabbaṯ ʿAmmôn). However, Ptolemy II Philadelphus, the Macedonian ruler of the Ptolemaic Kingdom who reigned from 283 to 246 BC, renamed the city to "Philadelphia" (Ancient Greek: Φιλαδέλφεια; literally: "brotherly love") after occupying it. The name was given as an adulation to his own nickname, Philadelphus. In the outskirts of Amman, one of the largest known ancient settlements in the Near East was discovered. The site, known as 'Ain Ghazal which is situated on a valley-side, dates back to 7250 BC and spans an area of 15 hectares (37 acres). It was a typical average sized aceramic Neolithic village that accommodated around 3,000 inhabitants. Its houses were rectangular mud-bricked buildings that included a main square living room, whose walls were made up of lime plaster. The site was discovered in 1974 as construction workers were working on a road crossing the area. By 1982 when the excavations started, around 600 meters (2,000 feet) of road ran through the site. Despite the damage brought by urban expansion, the remains of 'Ain Ghazal provided a wealth of information. 'Ain Ghazal is well known for a set of small human statues found buried in pits which were discovered in 1983, when local archaeologists stumbled upon the edge of a large pit 2.5 meters (8.2 feet) containing plaster statues. These statues are human figures made with white plaster. The figures have painted clothes, hair, and in some cases ornamental tattoos. Thirty-two figures were found in two caches, fifteen of them full figures, fifteen busts, and two fragmentary heads. Three of the busts were two-headed, the significance of which is not clear. 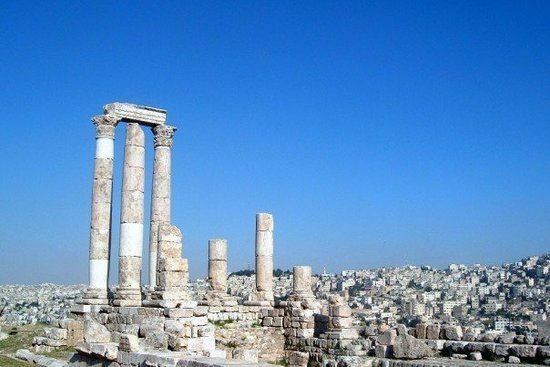 In the 13th century BC Amman was the capital of the Ammonites, and became known as "Rabbath Ammon". Ammon provided several natural resources to the region, including sandstone and limestone. Along with a productive agricultural sector, which made Ammon a vital location along the King's Highway, the ancient trade route connecting Egypt with Mesopotamia, Syria and Anatolia. As with the Edomites and Moabites, trade along this route gave the Ammonites considerable revenue. Ammonites worshiped an ancient deity called Moloch. Excavations by archaeologists near Amman Civil Airport uncovered a temple, which included an altar containing many human bone fragments. The bones showed evidence of burning, which led to the assumption that the altar functioned as a pyre. Today, several Ammonite ruins across Amman exist, such as Qasr Al-Abd, Rujm Al-Malfouf and some parts of the Amman Citadel. The ruins of Rujm Al-Malfouf consist of a surveillance stone tower that was used to ensure protection of their capital and several store rooms east of it. The city was later conquered by the Assyrian Empire, followed by the Persian Empire. Conquest of the Middle East and Central Asia by Alexander the Great firmly consolidated the influence of Hellenistic culture. The Greeks founded new cities in the area of modern-day Jordan, including Umm Qays, Jerash and Amman. Ptolemy II Philadelphus, the Macedonian ruler of Egypt, who occupied and rebuilt the city, named it "Philadelphia", which means "brotherly love" in Greek. The name was given as an adulation to his own nickname, Philadelphus. Amman's importance declined by the mid-8th century after damage caused by several earthquakes rendered it uninhabitable. Excavations among the collapsed layer of the Umayyad Palace have revealed remains of kilns from the time of the Abbasids (750-696) and the Fatimids (969-1099). In the late 9th century, Amman was noted as the "capital" of the Balqa by geographer al-Yaqubi. Likewise, in 985, the Jerusalemite historian al-Muqaddasi described Amman as the capital of Balqa, and that it was a town in the desert fringe of Syria surrounded by villages and cornfields and was a regional source of lambs, grain and honey. Furthermore, al-Muqaddasi describes Amman as a "harbor of the desert" where Arab Bedouin would take refuge, and that its citadel, which overlooked the town, contained a small mosque. The Ottoman Empire annexed the region of Amman in 1516, but for much of the Ottoman period, al-Salt functioned as the virtual political centre of Transjordan. Amman began to be resettled in 1878, when hundreds of Circassians arrived following their exodus from the Caucasus; between 1872–1910, tens of thousands of Circassians had relocated to Ottoman Syria after being displaced by the Russian Empire during the events of the Russo-Circassian War. In 1879, English traveller Laurence Oliphant wrote of his visit to Amman in The Land of Gilead. Ottoman records from 1906 show around 5,000 Circassians living in Amman and virtually no inhabitants who spoke Arabic. The city's demographics changed dramatically after the Ottoman government's decision to construct the Hejaz Railway, which linked Damascus and Medina, and facilitated the annual Hajj pilgrimage and trade. 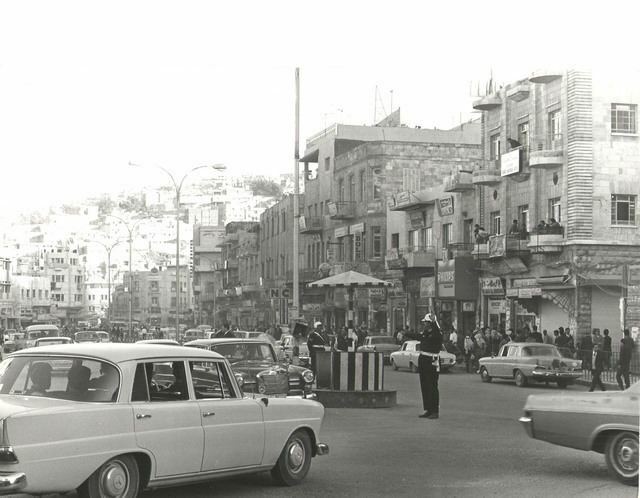 Because of its location along the railway, Amman was transformed from a small village into a major commercial hub in the region. During the last ten years the city has experienced an economic, cultural and urban boom. The large growth in population has significantly increased the need for new accommodation, and new districts of the city were established at a quick pace. This strained Jordan's scarce water supply and exposed Amman to the dangers of quick expansion without careful municipal planning. Today, Amman is known as a modern, liberal and westernized Arab city, with major mega projects such as the Abdali Urban Regeneration Project and the Jordan Gate Towers. 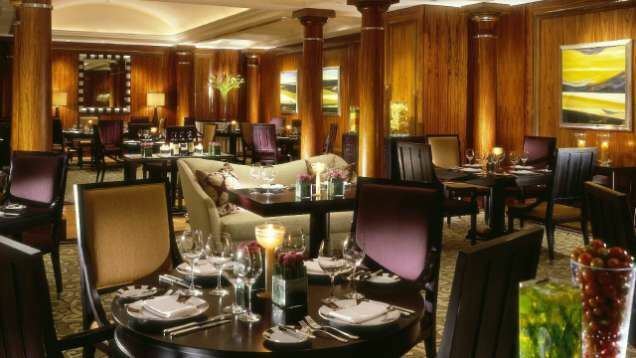 The city contains several high-end hotel franchises including the Four Seasons Hotel Amman, Sheraton Hotel Amman, Fairmont Amman, St. Regis Hotel Amman, Le Royal Hotel and others. Amman's position on the mountains near the Mediterranean climate zone places it under the semi-arid climate classification (Köppen climate: BSh). Summers are mildly hot and breezy, however, one or two heat waves may occur during summer. Spring is brief and warm, where highs reach 28 °C (82 °F). Spring usually starts between April and May, and last about a month. Around the end of November is the period in which winter usually starts and continues from early to mid March. Temperatures are usually near or below 17 °C (63 °F), with snow occasionally falling once or twice a year. Rain averages about 300 mm (12 in) a year and periodic droughts are common, where most rain fall between October and April. At least 120 days of heavy fog per year is usual. Difference in elevation plays a major role in the different weather conditions experienced in the city, snow may accumulate in the western and northern parts of Amman (an average altitude of 1,000 m (3,300 ft) above sea level) while at the same time it could be raining at the city centre (elevation of 776 m (2,546 ft)). (900 to 1,100 metres (3,000 to 3,600 ft)). Amman has extreme examples of microclimate, and almost every district exhibits its own weather. It is known among locals that some boroughs such as the northern suburb of Abu Nser are among the coldest in the city, and can be experiencing frost while other warmer districts such as Marka can be providing much warmer temperatures to its inhabitants at the same time. The temperatures listed below are taken from the weather station at the centre of the city which is at an elevation of 767 m (2,516 ft) above sea level. At higher elevations, the temperatures will be lower during winter and higher during summer. For example, in areas such as al-Jubaiha, Sweileh, Khalda, Abu Nser which are at/higher than 1,000 m (3,300 ft) above sea level have average temperatures of 7 to 9 °C (45 to 48 °F) in the day and 1 to 3 °C (34 to 37 °F) at night in January. In August, the average high temperatures in these areas are 25 to 28 °C (77 to 82 °F) in the day and 14 to 16 °C (57 to 61 °F) at night. Amman is governed by a 41-member city council elected in five-year term direct elections. All Jordanian citizens above 18 years old are eligible to vote in the municipal elections. However, the mayor is appointed by the king and not through elections. In 1909 a city council was established in Amman by Circassian Ismael Babouk who became the first ever Mayor of the capital, and in 1914 Amman's first city district centre was founded. Population of city reached 4,007,526 in 2015, Amman contains about 42% of Jordan's entire population. It has a land area of 1,680 km2 (648.7 sq mi) which yields a population density of about 2,380 inhabitants per square kilometre (6,200/sq mi). The population of Amman has risen exponentially with the successive waves of immigrants and refugees arriving throughout the 20th century. From a population of roughly 1,000 in 1890, Amman grew to around 1,000,000 inhabitants in 1990, primarily as a result of immigration, but also due to the high birthrate in the city. Amman had been abandoned for centuries until hundreds of Circassians settled it in the 19th century. Today, about 40,000 Circassians live in Amman and its vicinity. After Amman became a major hub along the Hejaz Railway in 1914, many Muslim and Christian merchant families from al-Salt immigrated to the city. A large proportion of Amman's inhabitants have Palestinian roots (urban or rural origin), and the two main demographic groups in the city today are Arabs of Palestinian or Jordanian descent. Circassians comprise about 2% of the population. There are no official statistics about the proportion of people of Palestinian or Jordanian descent. Amman has a mostly Sunni Muslim population, and the city contains numerous mosques. Among the main mosques is the large King Abdullah I Mosque, built between 1982 and 1989. It is capped by a blue mosaic dome beneath which 3,000 Muslims may offer prayer. The Abu Darweesh Mosque, noted for its checkered black-and-white pattern, has an architectural style that is unique to Jordan. The mosque is situated on Jabal Ashrafieh, the highest point in the city. The mosque's interior is marked by light-coloured walls and Persian carpets. It was built by a Circassian resident of Amman. During the 2004 Amman Message conference, edicts from various clergy-members afforded the following schools of thought as garnering collective recognition: Hanafi, Hanbali, Maliki, Shafi'i, Ja'fari, Zahiri, Zaydi, Ibadi, tassawuf-related Sufism, Muwahhidism and Salafism. Amman also has a small Druze community. Alcohol is widely available in restaurants, bars, nightclubs, and supermarkets. 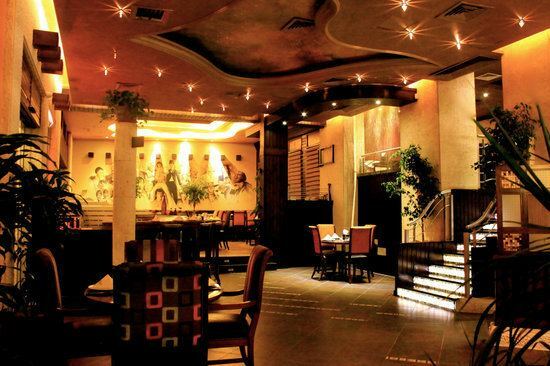 There are numerous nightclubs and bars across the city, especially in West Amman. As of 2011, there were 77 registered nightclubs in Jordan (excluding bars and pubs), overwhelmingly located in the capital city. In 2009, there were 222 registered liquor stores in Amman. The main airport serving Amman is Queen Alia International Airport, situated about 30 km (18.64 mi) south of Amman. Much smaller is Amman Civil Airport, a one-terminal airport that serves primarily domestic and nearby international routes and the army. Queen Alia International Airport is the major international airport in Jordan and the hub for Royal Jordanian, the flag carrier. Its expansion was recently done and modified, including the decommissioning of the old terminals and the commissioning of new terminals costing $700M, to handle over 16 million passengers annually. It is now considered a state-of-the-art airport and was rewarded 'the best airport in the Middle East' for 2014 and 2015 and 'the best improvement in the Middle East' for 2014 by Airport Service Quality Survey, the world's leading airport passenger satisfaction benchmark program. According to Jordan Department of Statistics, Amman has the highest literacy percentage in Jordan: 95.2% (97.3% among males and 93.1% among females). There are 20 universities in Amman. The University of Jordan is the largest public university in the city. There are 448 private schools in the city attended by 90,000 students, including Amman Baccalaureate School, Amman Academy, Amman National School, Modern American School, International School of Choueifat, American Community School in Amman and National Orthodox School.